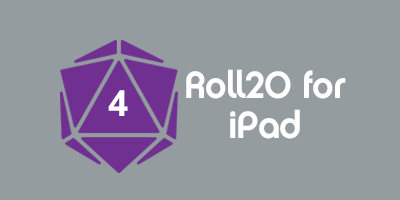 Roll20 features a powerful set of drawing tools that you can use to do lots of things, like making notes on the tabletop or even quickly sketching out an entire map. The drawing tools are all located here in the drawing tools button of the Toolbox. This is a tutorial on drawing in Roll20. The Freehand tool allows you to draw lines on the tabletop, similar to the way that a whiteboard works. Just select the tool, then click and drag anywhere on the tabletop to start drawing. The Shapes tool works similarly to the Freehand tool, but it allows you to quickly draw pre-made shapes. By default you'll draw a rectangle, but you can also hold down the Alt key while drawing to draw a circle instead. Holding the Shift key while using the Shapes tool will cause your shape to snap to the grid if one is enabled for the current page. 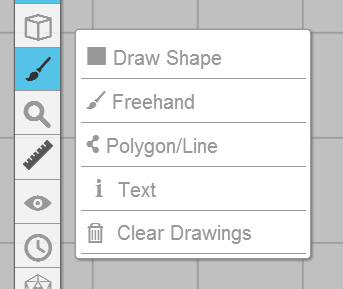 After you activate the Freehand or Shapes tools, a secondary toolbar will appear. You can change the stroke color (1.) as well as the fill color (2.) and line width (3.) of your drawing by using the secondary toolbar here. The Polygon/Line Tool draws lines and polygons by connecting vertices clicked out on the tabletop. 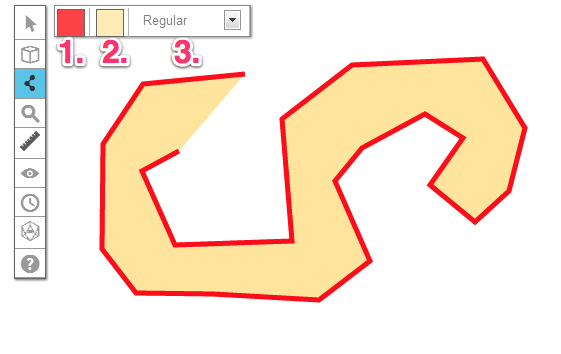 To draw with the Polygon/Line Tool, first, click on the tabletop where you’d like to start your drawing. Next, click to where the next vertex in the polygon or line should be. Continue this process until the polygon is completed. A right click or hitting the Escape key will finish/close the line or or polygon. If a vertex is clicked very close to the starting point, the polygon will auto-close. If a mistake is made part way into your drawing, Ctrl/Cmd + Z will undo each consecutive segment drawn. Holding down the Shift key while drawing will force the segment vertices to snap to the grid. If a straight line instead of a polygon is desired, right click or hit the Escape key after drawing the very first segment. Like the Freehand and Shape tools, the Polygon/Line tool uses the same secondary appearance toolbar. There’s also a text tool that lets you write directly on the tabletop. Just choose the text tool from the Toolbox, and then click on the tabletop where you want to type. You can change the font (1. ), size (2. ), and color (3.) of the text using the secondary toolbar here. Hitting the Escape key will remove the focus from an active text box. To edit text after you have added it to the tabletop use the select tool to access the text box and double click to enter edit mode, or right click on it and select 'Edit' from the context menu. You can also group things together by selecting them, then right-clicking and choosing “Group” from the Advanced Menu. Grouping things lets you keep them in sync so you always move them at the same time. Finally, you can choose to clear all of the drawings on the current layer by using the Clear Drawings tool in the Toolbox. It’s a great way to quickly delete any sketches that have been made during a battle, for example. This page was last modified on 15 June 2017, at 13:01. This page has been accessed 71,638 times.